Larry Spencer is a retired Air Force 4-star General who began his military service in 1971 as a eighteen-year-old private. Spencer was born on August 1, 1954 in Washington, D.C. to Alfonzo Spencer, a disabled career Army mechanic, and Selma Gaines Spencer. After graduating from Central High School in Prince George County, Spencer voluntarily enlisted in the United States Air Force in 1971. As a clerk at Pope Air Force Base in North Carolina, he did a tour of duty in Taiwanfollowed by an assignment to Whiteman Air Force Base in Missouri. Instead of taking advantage of a college football scholarship, he re-enlisted and the government subsidized his education at Southern Illinois University. In 1979, he graduated with a bachelor’s degree in industrial engineering technology. A year later, he received his officer’s commission as a second lieutenant at the Officer Training School and was assigned as a cost analyst to Robins Air Force Base in Georgia. Between 1982 to 1986, Spencer worked in the Pentagon as a cost analyst and budget officer. Later, he was sent to Military Airlift Command at Scott Air Force Base in Illinois where he worked in financial management. He served his first post as Commander when he was assigned to the 4th Comptroller Squadron at Seymour Johnson Air Force Base in North Carolina. As he rose through the ranks, he earned a master’s degree in business management at Webster College in 1987 and a second master’s in resource strategy in 1994 from the National Defense University. As Lieutenant Colonel, Spencer served as Assistant Chief of Staff at the White House Military Office from 1994 to 1996. He became the first Air Force officer to serve in this position. After his assignments at Tinker Air Force Base in Oklahoma, Hill Air Force Base in Utah, Langley Air Force Base in Virginia, and Wright-Patterson Air Force Base in Ohio, he was promoted to Brigadier General in 2005. Spencer returned to the Pentagon as Director of Budget Operations and Personnel in the Office of the Assistant Secretary of the Air Force for Financial Management and Comptroller. He also served at Headquarters U.S. Air Force as Deputy Assistant Secretary for Budget. Later, he served at the Pentagon as Director, Force Structure, Resources and Assessments, Joint Staff. In 2012, Spencer was promoted to 4-star General and served his last assignment as Vice Chief of Staff of the U.S. Air Force in Washington, D.C., a position he held until his retirement on August 7, 2015. During his military career, Spencer received many awards and recognition. He was the recipient of the 1991 Air Force Comptroller of the Year Award, the 2007 Eugene M. Zuckert Management Award, the Legion of Merit, the Defense Distinguished Service Medal, the Air Force Distinguished Medal, and the Defense Superior Service Medal. Awards named in his honor are the Air Force General Larry Spencer Innovation Award and the Air Force General Larry Spencer Special Acts and Services Award. He has been an independent board member of the Whirlpool Corporation and President of the Air Force Association. Spencer resides in Alexandria, Virginia with his wife, Ora Mae Spencer. They have three adult children. 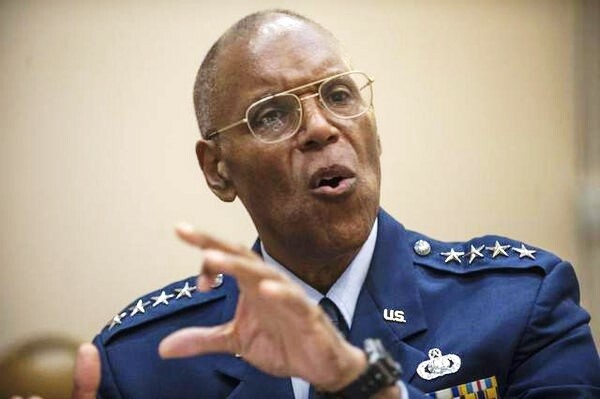 Larry O. Spencer, “A Strong Fighting Force is a Diverse Fighting Force,” http://ndupress.ndu.edu/Portals/68/Documents/jfq/jfq-76/jfq-75_48-51_Spencer.pdf; Chris Powell, “Spencer Reflects on 44-Year Career,” http://www.af.mil/News/Article-Display/Article/611749/spencer-reflects-on-44-year-career/; “General Larry O. Spencer,” http://www.af.mil/About-Us/Biographies/Display/Article/104756/general-larry-o-spencer/.